We introduce a method for building an XML constraint validator from a given set of schema, key and foreign key constraints. 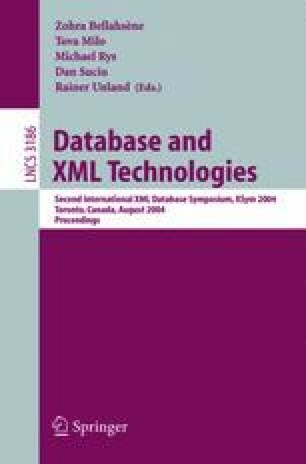 The XML constraint validator obtained by our method is a bottom-up tree transducer that is used not only for checking, in only one pass, the correctness of an XML document but also for incrementally validating updates over this document. In this way, both the verification from scratch and the update verification are based on regular (finite and tree) automata, making the whole process efficient.